View More In Pop Metal. Out of print in the U.S.! For nearly 25 years, Slayer have remained the most important and influential Speed Metal band in history. 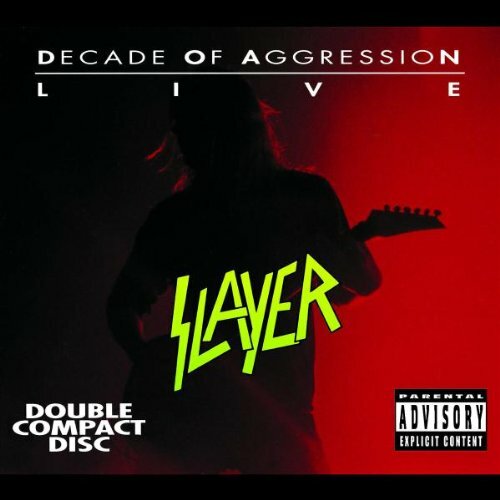 Live: Decade Of Aggression is their two CD 1991 live album. Disc One was recorded live at Lakeland Coliseum, Lakeland, Florida on July 13, 1991. Disc Two was recorded live at Wembley Arena, London on October 14, 1990, and at Orange Pavilion, San Bernardino, California, March 8, 1991. Warner. If you have any questions about this product by Universal Distribution, contact us by completing and submitting the form below. If you are looking for a specif part number, please include it with your message.